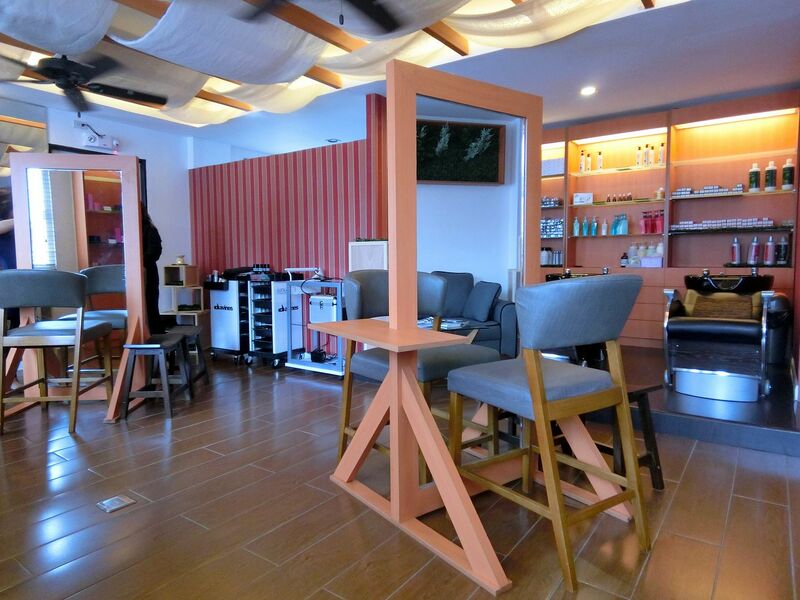 I recently discovered a new salon, it's the Junca Salon near ABS-CBN. 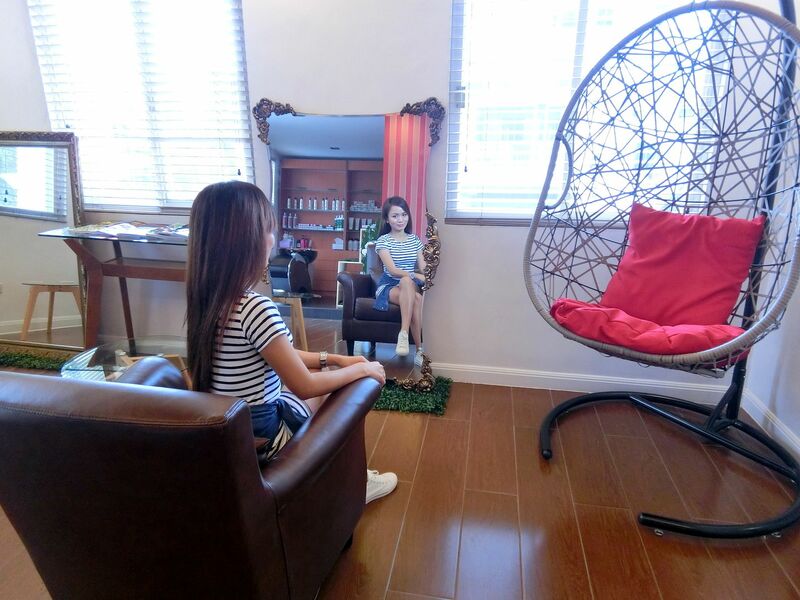 It's a high-end Japanese salon that recently opened. I'm happy that I got to try it first. Today, I'll be sharing my experience at Junca. This is what I saw when I went to the salon. I thought there was a press conference but turned out, this is just the usual set up at Junca. This is the interior of the salon. I was impressed because it doesn't look like the other salons I've been to. I really like the simple and modern interior that they did. I know you missed our vlogs so I decided to film a video. I also got a new camera that I am very excited to review for you guys! It's my dream camera, the Casio Exilim TR60! Let's be honest, one of the things that people want is to be treated as a VIP. 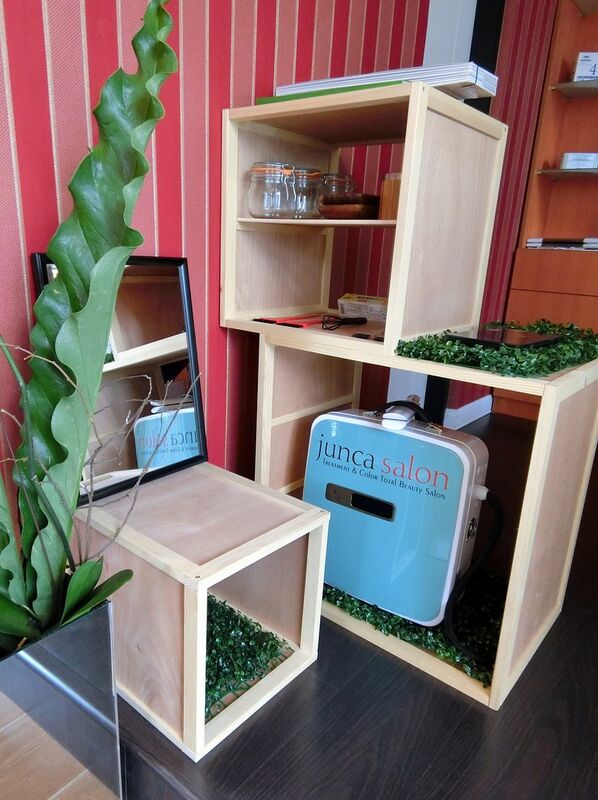 Junca Salon has a VIP area for their VIP customers. It looks so cozy! 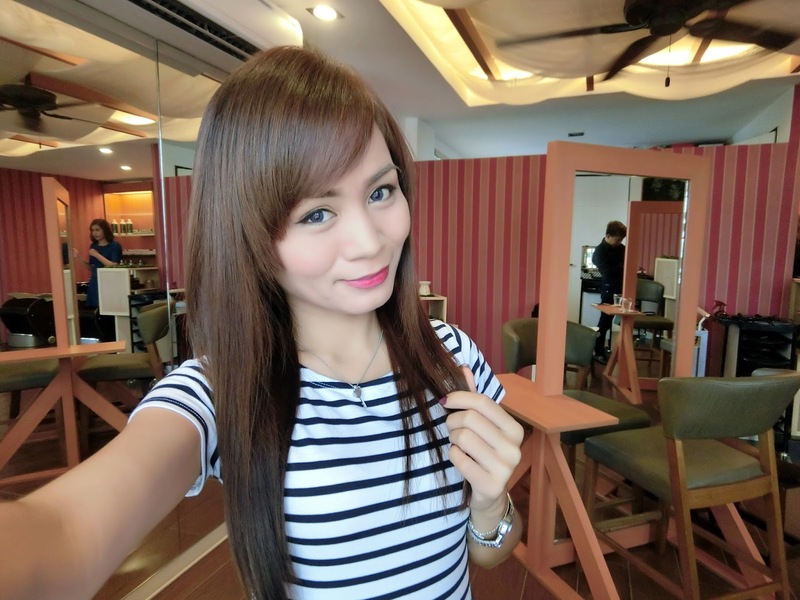 I also like bright rooms with natural light from the sun so that's one of the things I appreciate about Junca Salon. Because it's a Japanese Salon, of course they offer new hair technology to their customers! Hey, girls and guys! I'm on Instagram!  Please follow me if you haven't yet! User name is @RealAsianBeauty! One of the new treatments that I've tried is this hydrogen infusion that infuses nutrients to the hair in a safe and non-damaging manner. Have you guys heard of COLD HAIR IRON?! 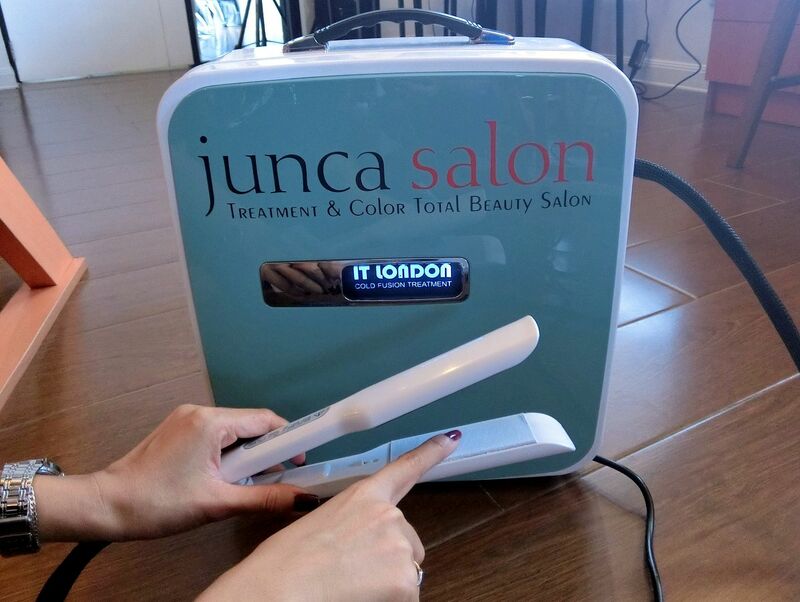 I tried it for the first time at Junca Salon! Instead of ironing hair using heat, they use cold/frozen treatment. This is called the Amino Acid hair treatment. 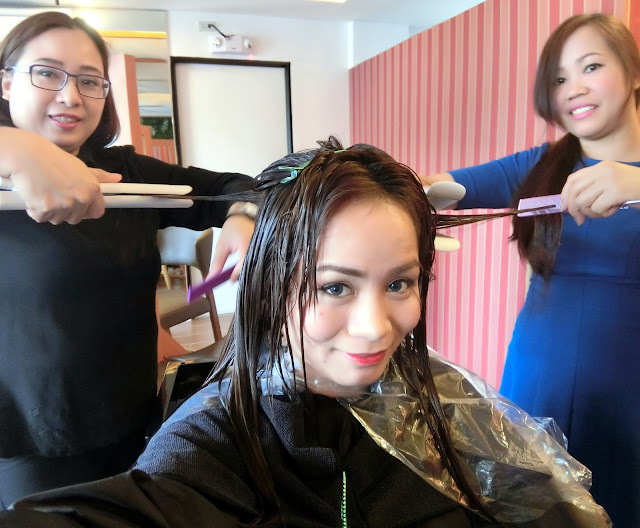 They will apply the cream on hair and then they will iron the hair to let the hair absorb the cream. What makes this different is that they uses cold hair iron! How amazing is that?? 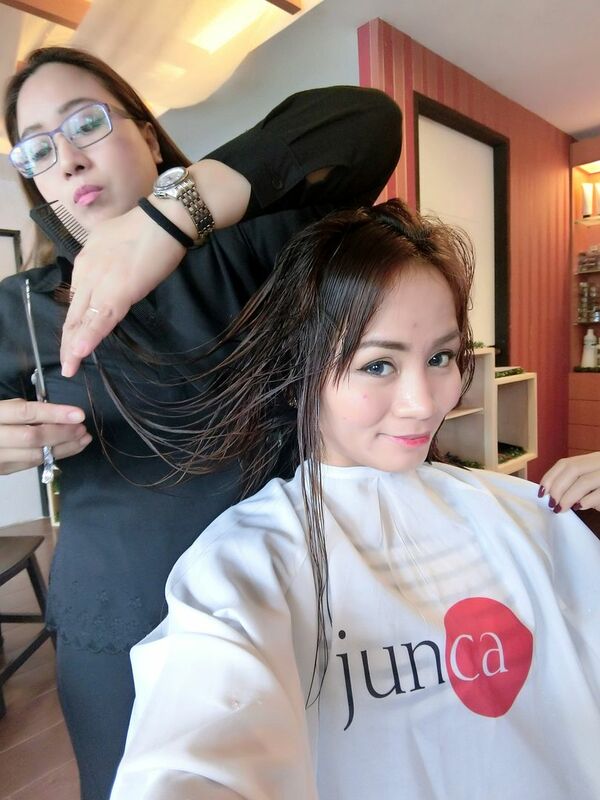 I was impressed when I tried this new hair technology at Junca! I really appreciate service workers that are eager about their work. My attendant that day, Rose, was very nice. I liked how she took care of me and made me feel really pampered. By the way, a lot of you guys have been asking about the contact lenses that I use these days, It's the World Series Lenses that I got from www.LensCircle.com. I just alternate the colors Brown, Gray and Blue. I love it because though it does not look very natural, it looks subtle compared to lenses that have thick, dark circle around it. It also comes in three-tone color so the lenses pop against my dark brown eyes. I had my haircut, too. Though I have to be honest that I did not like my haircut. It was plain and wasn't very appealing. I wish the stylist put more layer or curve to my hair when she cut it. I also think she should smile a bit more so her customer would feel more comfortable with her. Looking at this picture, don't you agree she needs to smile more at her clients? This is the final result of my hair makeover at Junca Salon! Yay! What do you think? 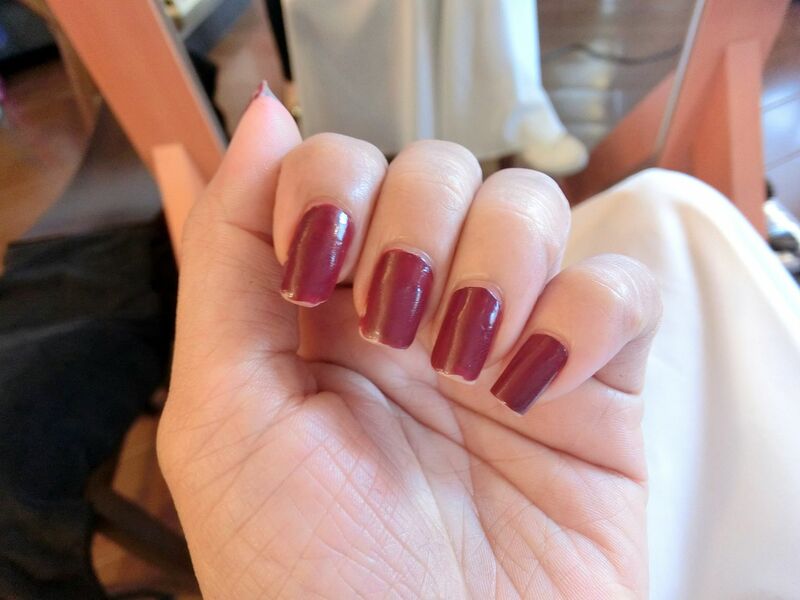 Because my nails were already ugly, I also decided to get my nails done. 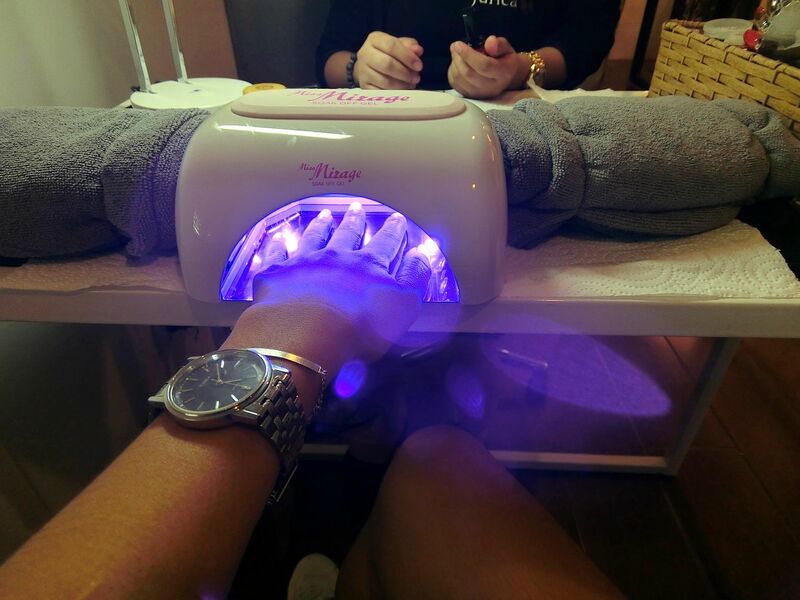 I was excited to try the gel nail polish service at Junca! If there is one color I can stand being with for 2 weeks or so, that color would definitely be PINK! 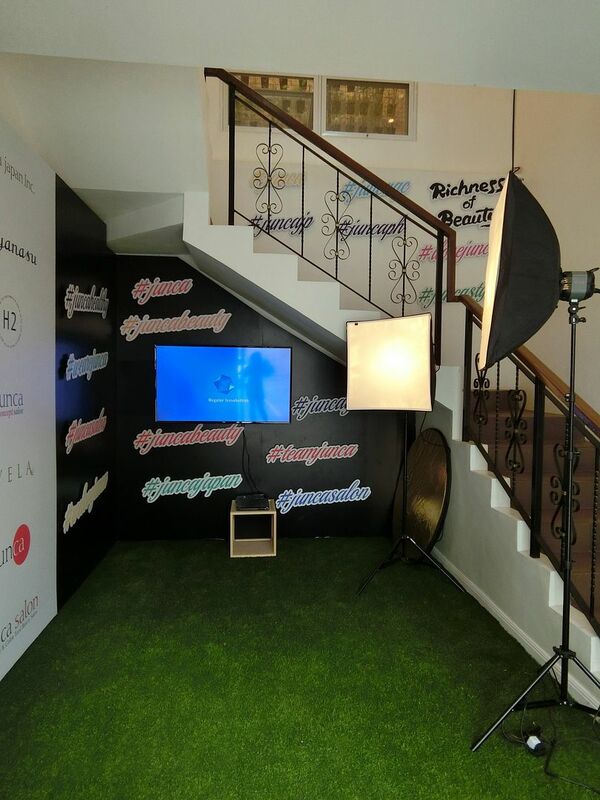 Thanks so much to Junca Salon for having me over as one of the first bloggers to ever visit their salon! Yay! Do you guys miss me doing OOTDs?I miss it, too! I wish I could get my DSLR from Canon back and meet a new fiend that would be willing to take my photos so I could post outfits for you guys again! It's my dream Casio Exilim TR60! 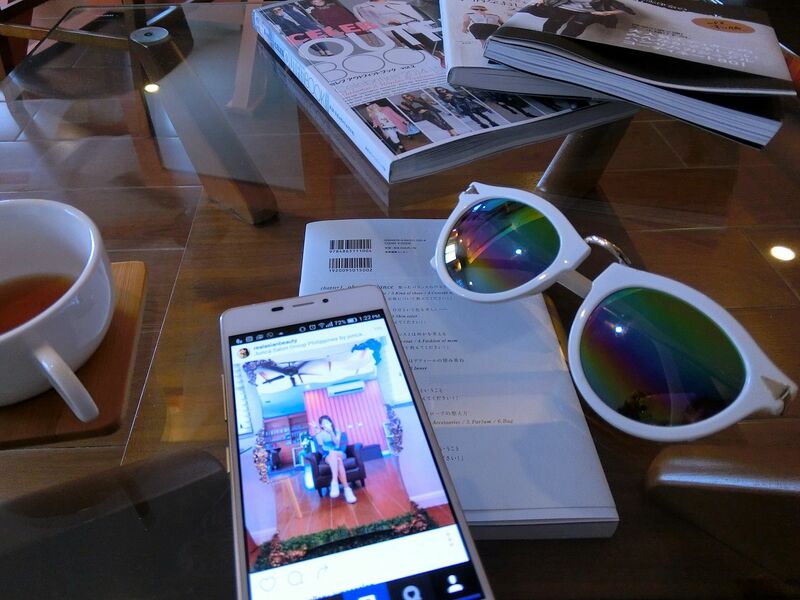 You see Xiaxue and Cheeserland use this camera and now you will see me with it, too! Yay! I used this camera to film this Vlog video and to take all the photos in this blog post! How impressive! I got my Casio Exilim TR60 and my other Casio Exilim cameras from Camerahaus! Such a relief that now, I won't have to go abroad or order online just so I could get the latest Exilim cameras! And you won't have to, either. Camerahaus now sells Casio cameras! Yay! For more details about Casio Exilim cameras, check out Casio Philippines Facebook Page HERE. Thank you for reading today! Please stay tuned for a new video that I am editing now. Should be up Saturday or Sunday this week.